But it was just a big pipe dream. Obama rejected the plan. Once again, Barack Obama stands alone, outside the gates of common sense. 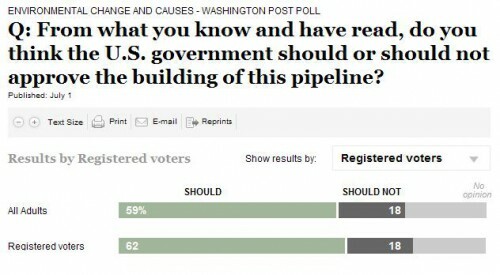 Only 18% of Americans agree with Obama that the US should not approve the Keystone Pipeline. How does he do it? In issue after issue Barack Obama is able to consistently isolate himself from the majority of Americans. The man has that special touch.